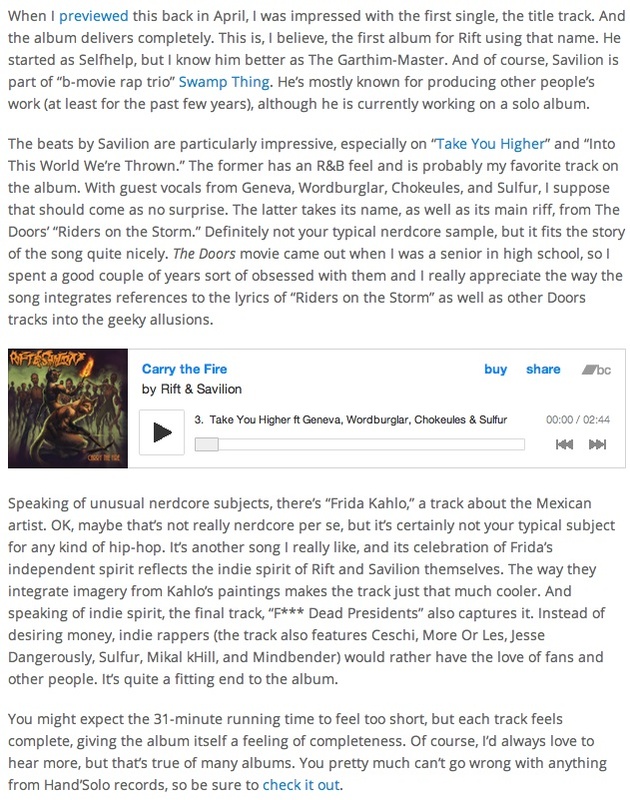 Many thanks to Chad Walker and Fandomania for the continued support with another excellent review, this time for Rift & Savilion’s Carry The Fire. And they came through first! You’re awesome, Chad!